Their poignant music videos, vitriolic mix of blues, hard rock, and prog, and impressive stage presence demonstrate their capacity to raise the voices of Indigenous peoples to the world stage. The two came together through a mutual friend, previously playing together in a band called Heavy Earth and bonding over a mutual love for Rush. 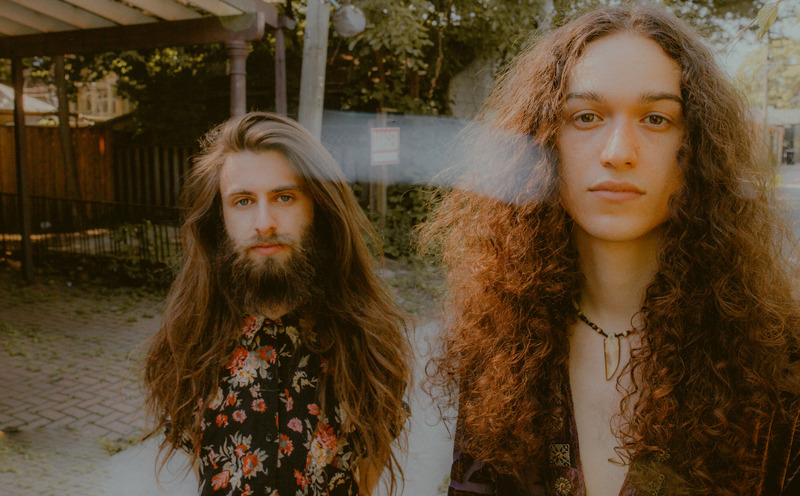 With two EPs in just as many years and a plethora of touring opportunities resulting from a sound that has widespread appeal for fans of blues rock, proto-metal and prog, the future holds undoubtedly exciting opportunities for Crown Lands. Follow Crown Lands on Facebook, Instagram, Twitter, and their website. You can listen to their music on platforms including Spotify, Bandcamp, YouTube, and Apple Music. Previous PostOutre - "Hollow Earth"
Next PostJennah Barry Returns to Serenade Listeners with "Roller Disco"